This past week we’ve had a church full of kids for Vacation Bible School. I’ve had the time of my life talking with the kids and our incredible volunteers, taking pictures of million dollar smiles, and listening to our kids sing, with all of their heart, about Jesus. Each day of Vacation Bible School the adults and kids have focused on a theme. All of the themes the kids learned about have to do with tough situations we find ourselves in as we experience life. I want to ask you, have you ever felt lonely? That’s really a silly question isn’t it? Who has not felt lonely at times during their life? The crazy thing is, you can be surrounded by people and still feel lonely. That’s not an adult or kid problem, that’s a universal human problem. Here’s another question for you…Have you ever been worried about a situation you were facing in life, an upcoming decision, a relationship that was out of sorts, or a health issue you or someone you love was facing in life? Maybe you are here this morning and you are worried. On day three the question we asked of the kids was, “Do you ever struggle?” Let me tell you, whether you are 8 or 80, the struggle is real. I heard some stories this past week about little ones who know what it means to struggle with some really tough situations in life. Here’s another question, “What do you do when you do wrong?” Have you ever messed up? Have you ever messed up and others wouldn’t let you ever forget it? Last of all, on day five, the theme was, “What do you do when you feel powerless?” In some of the situations we face in life we can feel powerless which can lead us to worry and sometimes our worrying, with no help in sight, can lead us to feel lonely. The troubles of life can pile up on us can’t they? We don’t have time to take a look at each of the themes of VBS this past week, but I would like to focus on a couple during the time we have together this morning. As I mentioned earlier, the themes the kid’s focused on are not exclusively kid problems at all, they are part of the human predicament that all people, all over the world face at various times throughout our lives. Loneliness seems to be in the news on a pretty regular basis. Most of us wonder how can any one of us ever feel lonely when we live in a world of 7 billion people? I was reading an article in USA Today this past week. I’d like to share a little of it with all of you. From the youngest among us to the oldest, we all have or will feel lonely from time-to-time, sometimes for prolonged periods of time. A 16 year old in the USA Today article wrote about her feelings of loneliness and isolation. In all of the years I’ve worked with people in the church I’d have to say some of the loneliest people I’ve talked to are people who have lost a spouse after years of marriage and people who, after having been married for years, have had their husband or wife leave them. Their norm has been radically altered. Their life dramatically changed. People today talk about how social media and technology are increasing the sense of loneliness in people. That may be true, but loneliness has been part of the human predicament for as long as there have been people. In Genesis 2:18, after God created Adam, He said, “It’s not good for man to be alone…” And then God created Eve so that Adam wouldn’t be alone any more. What do you do when you find yourself in a lonely place? How do you find your way out of loneliness? I’ll tell you about some of the best solutions I’ve found for those times I’ve felt all alone. David said, “My eyes are ever on the LORD…” But, you may wonder, “What does that mean? Where is the Lord that I can look at Him? How can I fix my eyes on the Lord?” Those are great questions! The place I look, when I want to fix my eyes on the Lord, is to look in the pages of His Word. It is in His Word that I discover that I am never alone. Let me give you a couple of examples. Turn with me to Deuteronomy 31:6 and let’s read together. There’s a man in the Bible that I’ve come to love. He challenges me and reminds me to go to God whenever I’m afraid, whenever I’m worried about anything in life. The man’s name is Jehoshaphat. Jehoshaphat was the King of Judah 2900 years ago. That’s a long time ago and yet, the lesson that I’ve learned from him has everything to do with what to do when we are worried and afraid. Turn with me to 2 Chronicles 20. While you are turning there I want to set the scene for you. Jehoshaphat was king over Judah for 25 years, but there was a time when the report came that an alliance had been formed by the Moabites, Ammonites, and the Meunites and they were on their way to destroy the King and his people. Jehoshaphat’s army was outnumbered and would be overpowered. Now, let’s read the story found in 2 Chronicles 20:1-4. Now, just imagine that we got word today that armies were on their way to overpower and overthrow our own nation. What would we do? What would our leaders do? I’m pretty certain President Trump would call the Pentagon, huddle up with our military leaders, and decide the next step. There’s no doubt in my mind that he wouldn’t even think about calling everyone to the church for prayer, but that is exactly what King Jehoshaphat did. Did you notice verse 3? Look at it again: “Alarmed, Jehoshaphat resolved to inquire of the LORD, and he proclaimed a fast for all Judah.” The Hebrew word “???? ?“ (yare’) is the word, “alarmed,” in English. It means “fear, to be afraid, or to reverence.” The word is found 368 times in the Old Testament. There were many who were afraid in the Old Testament and Jehoshaphat was one of them. Yet, when he was afraid he sought the Lord. He didn’t run and hide from the invading army, he ran to God in prayer. Jehoshaphat, with the people of Judah around him, prayed. You can read his entire prayer in 2 Chronicles 20:6-12. I want us to pay special attention to the end of his prayer in verse 12. Read it with me. “We don’t know what to do, but our eyes are on you.” How many times have I been at a crossroads and didn’t know whether to turn to the right or to the left? How many times have I been in a situation, I mean in the middle of a scary situation, and had no clue what to do? Jehoshaphat reminds me that I’m not the first to find myself uncertain and afraid. I want to be straight with you and let you know that many times I’ve made other inquiries before inquiring of the Lord. I’ve sought help from others before seeking help from God. There is no help like the help the Lord can provide for you and me. 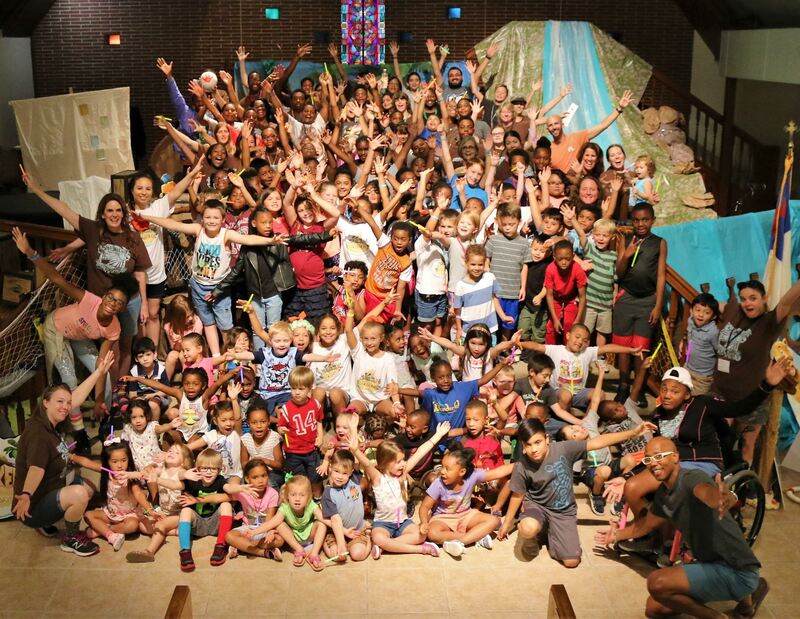 Jesus says, “Come to me…” We’ve just finished Vacation Bible School for our kids and kids we’d never met before this past week for the purpose of introducing them to Jesus. In just a few weeks we will begin an exciting opportunity for adults who have questions about life and it’s called Alpha. Alpha is not a five day opportunity, it’s an opportunity that takes place over 10 weeks, on Sunday nights from 5-7 pm here at Britton Christian Church. Jesus said, “Come to me…” I would have never come to Jesus on my own, it was a friend who led me to Jesus. I’ll never forget that friend and what he did for me. I’m so grateful to God and my friend that I want to spend the rest of my life sharing Jesus’ love with those who don’t know Him. Maybe you are here today and you have never asked Jesus to come into your life. I want to give you the opportunity to do that this morning.